Visit Fortress of Louisbourg National Historic Site, a partial reconstruction of an 18th-century French fortress. Originally part of the most extensive fortifications in North America, this National Historic Site now allows you to step back in time as you admire the architecture and period weapons, and interact with actors dressed as townsfolk from the era. During peak season, you can see a musket demonstration or puppet shows, participate in workshops, and enjoy a delicious meal at the onsite restaurant. See Fortress of Louisbourg National Historic Site and all Louisbourg has to offer by arranging your trip with our Louisbourg online day trip planner . Nice place to visit. They explain to us the history of the fortress and it ends with a spectacle to understand concretely everything that was taught to us during this visit. Several buildings that can be visited at our pace and paved paths to walk, eat or even shop a souvenir of the place. Fantastic place to visit, and we were glad that we made the detour to Louisbourg. If you are at all interested in history, then this place is a must. The buildings are beautifully restored, and the staff in period dress brought it to life. Bring layers, as it can be cold even on summer days. Really enjoyed our visit. We spent two days exploring and learning. Great staff very well presented tours, fun authentic food to eat. Lots to learn, see and experience. Great place for young and old. Amazing experience! Hubby and I were with our daughter, son in law and grandchildren. Our 9 year old grandson really enjoyed the history and had a chance to speak to one of the actors in French. He's in French immersion. The gentleman my grandson spoke too was so encouraging and knowledgeable! He made the whole weekend for us..
Really enjoyed this place. I enjoy going back in time and see how people lived. The architecture of the whole village. Lots of history. This village was burned down by the king of England's men at his orders way back then. The Canadian government has done a beautiful job rebuilding it as original as possible. You would never know it wasn't the original. However they have only rebuild 10%. They have plenty more to complete. So glad i got a chance to visit it. What a unique part of our history. Spoke with some Americans who were impressed with the amount of restoration that had been done here. If you were wondering if its worth seeing, it is. Parks Canada has done a admirable job of staffing it with period correct people and even food is period correct. Check it out. Every day, we help thousands of travelers plan great vacations. 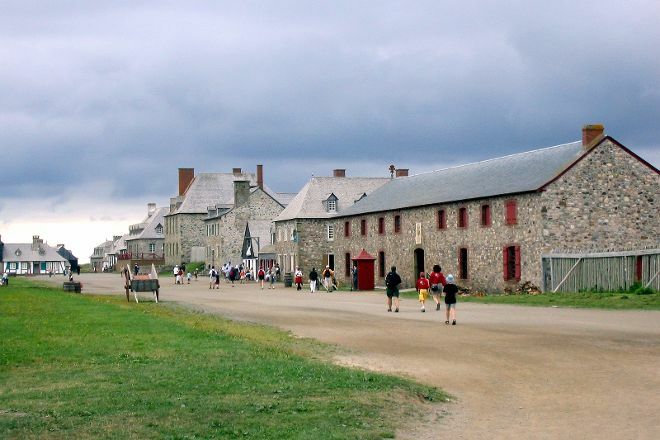 Here are some tips on how to use your Listing Page to attract more travelers to your business - Fortress of Louisbourg National Historic Site. Promote your permanent link - https://www.inspirock.com/canada/louisbourg/fortress-of-louisbourg-national-historic-site-a57103341 - on your website, your blog, and social media. 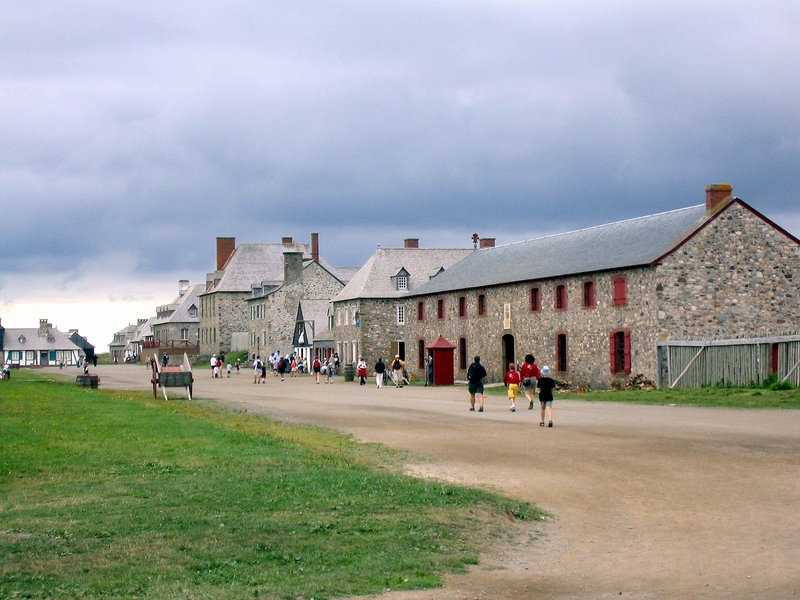 When a traveler builds a plan from this page, the itinerary automatically includes Fortress of Louisbourg National Historic Site. This is a great way for travelers looking for a great vacation in your city or country to also experience Fortress of Louisbourg National Historic Site. Promoting your link also lets your audience know that you are featured on a rapidly growing travel site. In addition, the more this page is used, the more we will promote Fortress of Louisbourg National Historic Site to other Inspirock users. For best results, use the customized Trip Planning Widget for Fortress of Louisbourg National Historic Site on your website. It has all the advantages mentioned above, plus users to your site can conveniently access it directly on your site. Visitors to your site will appreciate you offering them help with planning their vacation. Setting this up takes just a few minutes - Click here for instructions.